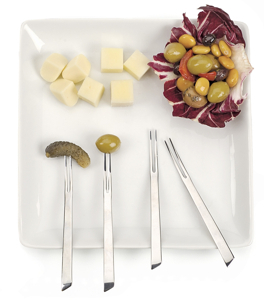 These ultra chic Endurance forks are popular in Europe when serving after dinner fruit salads and petite pastries. We have found they’re also terrific for appetizers. Made from highly polished stainless steel.